As part of the the major medical marijuana laws that have recently gone into effect in California, the state is now stepping in to regulate and provide oversight into the growing medical marijuana industry. Since medical marijuana was first approved in 1996, many saw California as a second iteration of the Wild West in terms of medical marijuana legislation, or more appropriately in terms of regulations at a statewide level, a lack there of. For the most part, it was up to the individual cities, counties and municipalities to decide if dispensaries and grow operations would be allowed in their respective jurisdiction, and if so, how and where they could operate. The new comprehensive state level reforms called for the creation of a new executive agency to regulate medical marijuana as well as a person to head that agency who has been called the medical marijuana czar similar to the way in which “czars” are appointed at the federal level to handle regulation and oversight of certain industries and initiatives. Somewhat ironically, the best known czar in the federal government was the drug czar who was responsible for leading the fight in the so-called War on Drugs. Much of what this agency hopes to accomplish is to keep marijuana out of the hands of children and those who do not have medical marijuana recommendations and to make sure consumers are getting what they actually paid for in terms of safety and quality. This will be done by product testing, labeling requirements, licensing, and other similar methods. These efforts will be led by the new medical marijuana czar Lori Ajax. She is taking charge of a series of policies and laws that will be fully in effect at the start of 2018 as discussed in a recent news article from the Mercury News. As discussed in this article, protecting the environment is a major part of the job for the state’s new czar. While medical marijuana and cannabis in general is a wonderful product with many remarkable healing qualities, if not grown with due care, it can be very detrimental to the environment just like any other crop. There are basically two areas of concern when it comes to the environmental effects of growing cannabis: water use and pesticide use. There is no question that there are major water supply problems in our state and this can create a major problem with the amount of agriculture present. One of the major issues with growing cannabis is that it requires a very large amount of water to get a good crop yield and without regulation, or legal production methods, many growers have not been following water use requirements. As our Orange County medical marijuana cooperatives attorneys have seen, there have been those engaged in illegal grow operations that are also diverting natural waterways in a way that is not only illegal, but also destructive to the property of owner. This is not a situation in which you want to find yourself because the consequences can be severe. 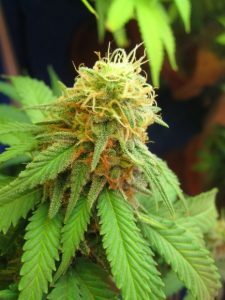 For this reason, you should speak with an experienced medical marijuana attorney before spending any considerable amount of money in the medical marijuana industry.